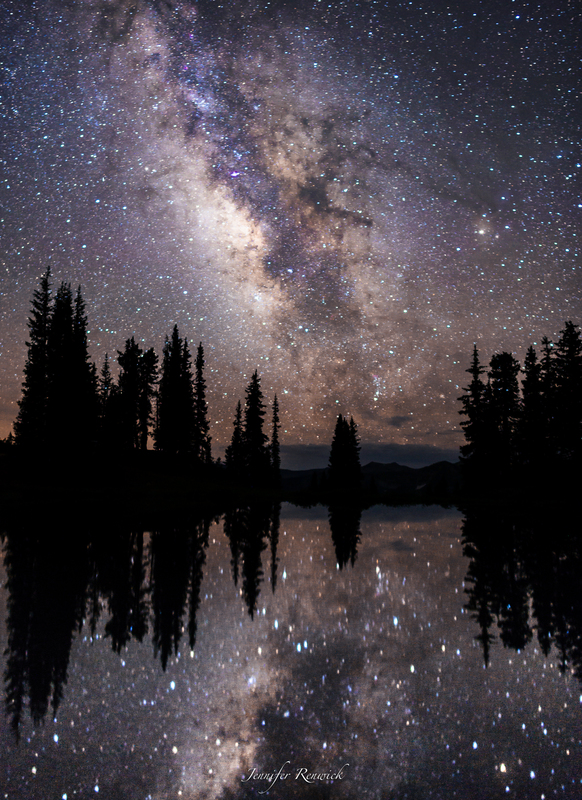 An alpine lake high up in the Colorado Rockies made a celestial reflection that I was very excited to photograph. I had this scene in my mind for many years, and I was finally able to make it happen. There had been a storm in the area an hour or so before, so I was happy to see the clouds disappear quickly on this moonless night. The settings used were: ISO 5000, 24 mm, f/1.8 for 30 seconds with my Nikon D610 and Rokinon lens 24 mm f/1.4.